We are a Local Church, established by Grace and passionate about His presence. Our Mission is to be: At Your Service and so believe that by serving God wholeheartedly and serving one another we can make a difference in our community. 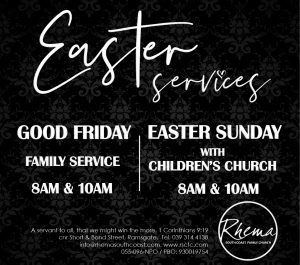 © 2019 Rhema South Coast Family Church.